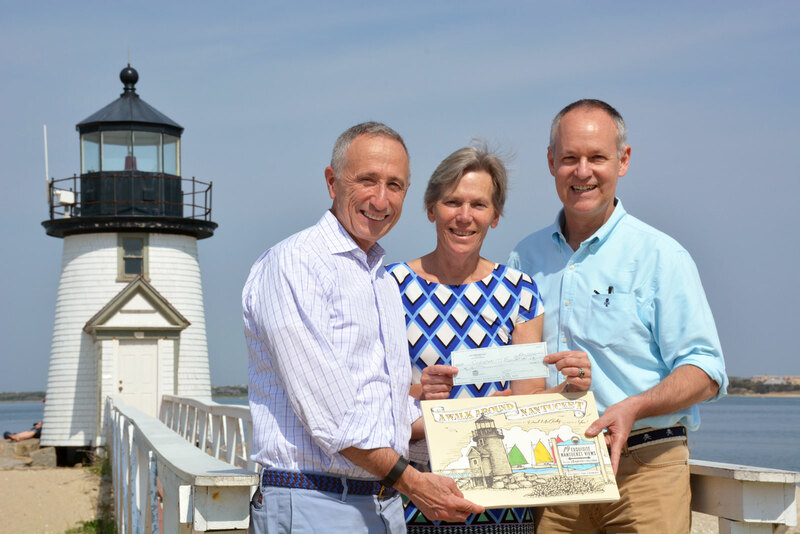 Nantucket just got a lot more colorful this year with “A Walk Around Nantucket,” a 52-page adult coloring book, conceived by Scott Widmeyer and Alan Yount, who have been coming to Nantucket for more than 25 years. 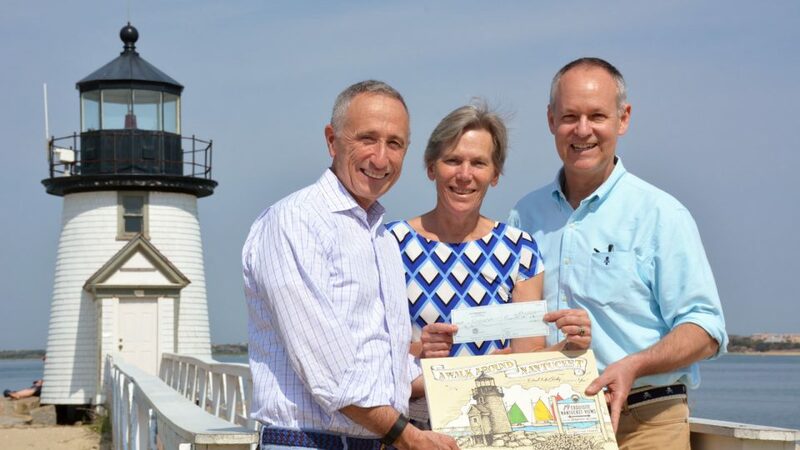 A portion of the sales from the coloring book are being given to the Nantucket Fund™ – Nantucket’s unrestricted source for Community Grants, directing support to local nonprofits that are providing services to Nantucketers. We are so grateful that Scott and Alan are investing in the growth of this one, unique fund where donors’ pooled resources help meet multiple needs of Nantucketers…yesterday, today and tomorrow. 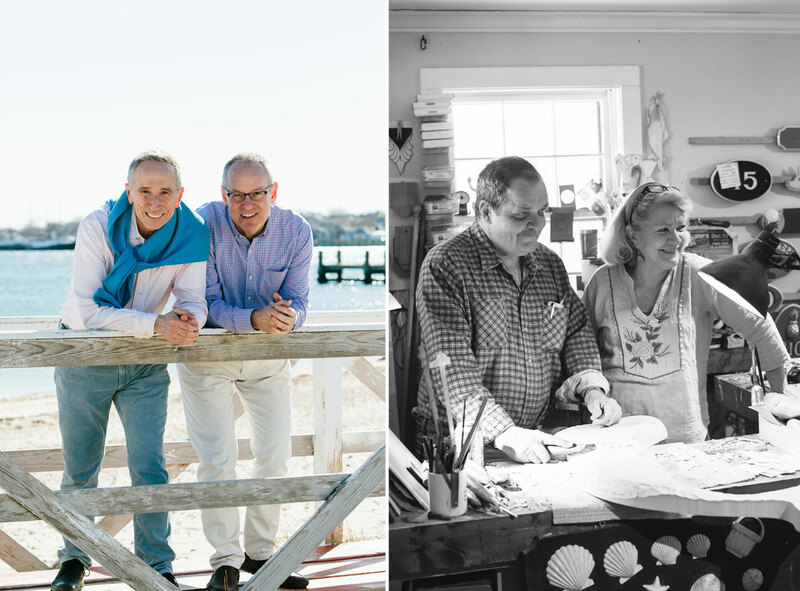 The work on the Nantucket book began in earnest last fall when local artists Paul McCarthy and Jean Petty were commissioned to create the sketches for the coloring book. McCarthy and Petty are renowned on the island for their Quarterboard signs which are prominent on hundreds of Nantucket homes and buildings as well as other carvings and folk art. Interest in adult coloring books has skyrocketed with nearly 2 million adult coloring books sold in the past year, according to BookScan. “Adult coloring books have become a popular way to relieve stress and calm down in our digital world of instant gratification. We hope that A Walk Around Nantucket will help visitors and residents alike tap into their inner artist, slow down, and see the island in a new way,” said Yount and Widmeyer. 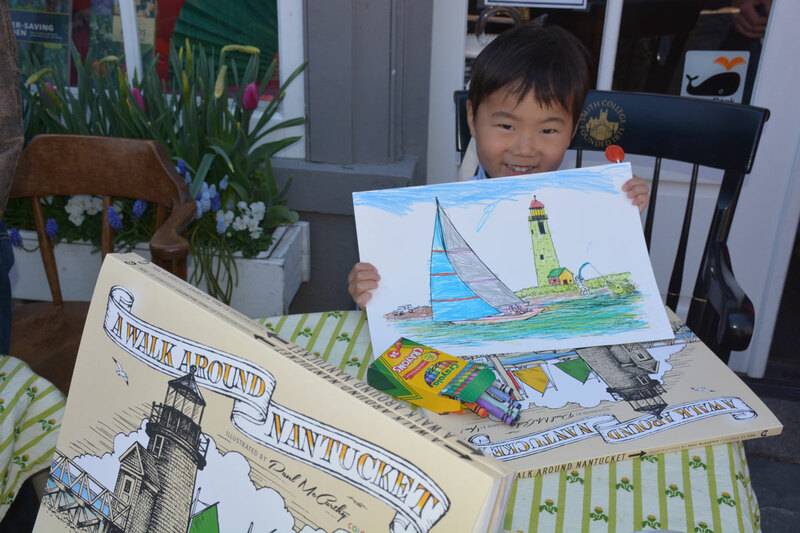 And the pièce de résistance with the Nantucket coloring book is that it will include 16 post cards with exquisite Nantucket scenes also ready for coloring. “We imagine visitors this summer being quite engaged coloring post cards and sending them off to grandma, grandpa, and friends,” the creators said. The coloring books are being sold in over a dozen local businesses on Island, as well as online at colormenantucket.com or nantucketbookpartners.com. Thank you again to Scott and Alan for such a generous and colorful gift to our community. Interested to learn more how the Nantucket Fund™ helps ALL of Nantucket? From substance abuse to the homeless, from education to after-school care, MAKE A GIFT today!